Products like Nike's Zoom models or Nike's Revolution models are two examples of comparison tools. Nike continues to redefine the way we view footwear. This revolution came full circle with the implementation of their Flyknit product line. Now in the 3rd installment of this famed collection, the company has taken customer and concerns and requests into consideration. This new model relies heavily on additional means of support and padding to produce one of the most comfortable fits ever emitted in Nike's vast footwear collections. Let's take a deeper look at this product and define the key areas of success for this model. After comparing this model to the previous Nike Flyknit creations, it is clear to see Nike stepped up to the plate with the Lunar 3 model. This shoe addresses key issues that runners face on a daily basis. The upper and midsole of the shoe are two important areas that lack the proper attention. Nike does a great job of addressing these areas with the proper production means. They have continued to decrease the weight of this shoe line while continuing to add components for more cushioned and protected footwear. They have checked the important items off of the requirement list, giving this product two thumbs up from us. Check Price on Amazon! Lightweight nature that caters to increased elements of support. Reconstructed to increase air flow within the shoe. Soft tongue reduces pressure on the top of the foot and increases internal foot holding capabilities. Lunarlon foam addition in the midsole. Lunarlon is much lighter than Phylon and helps to create even distribution of shock absorption. Rubber outsole features active means to locating pressure points and increasing build-up in these areas. The padded heel collar works to keep your foot stable and comfortable when in motion. Design patterns and color schemes cater to any wardrobe style. Even distribution of rubberized material in the outsole caters to any running style (i.e. flat foot runners, longer striding runners, etc.). Gain a little more spring in your step with the inclusion of a redefined midsole. From scaling customer review options, there were very few instances of disappointment and a plethora of positive reviews and statements. Price point might be out of the realm of your budget. Sizing takes a little tweaking. Some people need ½ a size larger while others need ½ a size smaller. Not much space for including inserts; limited space for housing support additives. Elastic bands for shoe string looping become weak and lose elasticity over time. With this latest release, Nike wanted to tie up a few knots they missed with the previous production models. One of the key areas of focus was with the ankle and foot area. Previous housing models lacked the proprietary means to keep the foot fully secured. They addressed this concern by adjusting the upper portion of the shoe. They added a ridge to the padding that creeps over the foot insertion point. This helps to minimalize friction in this area and ensures the padding fully wraps around the ankle. This notion helps keep the foot in a secure space and the padding thickens to ensure that additional movements are almost non-existent. This more natural feel also created for an increased amount of airflow within the shoe. The previous models lacked the correct pattern, causing air to be trapped into pocket areas of the shoe. This played a role in increased wear and tear amounts, causing dissatisfaction with the lifespan of the shoes. These revamped models do a great job of assessing concerns to key problems. While these two instances provide two small components of improvement, there are many other instances of enjoyment users will find with these models. After diving into select reviews and some of the product's pros and cons, we take a deeper look at the features this footwear model holds. Breaking down the shoe into select sub-categories can give you an inside look at the bigger picture. We break this shoe down into the most important categories and detail the certain elements holding relevance in these areas. The outsole is both thick in nature and caters to pressure points on the foot. The undercarriage features a unique design that forms rings that are placed within one another. If you observe the rings, you will notice areas where they are prevalent. These areas are directly associated with high amounts of pressure when running. These extensions help to relieve these pressure amounts, creating for a more comfortable run for the user. The outsole is thick as it extends to the midsole. It is made of rubberized materials and remains even-keeled from the toe box to the back-heel area. The outsole also adds pressure relief directly below the toe box, a feature that is uncommon on most running footwear models. This makes for a great addition for those who have short strides or rely heavily on the toe area by means of push-off. The complete re-design of the midsole area is something that this shoe holds dear. This new force implemented in this area is known as Nike's Lunarlon technology. Lunarlon operates much like a Phylon foam would. The only difference is that it is much lighter and helps to evenly distribute shocks to the foot. This lightweight nature is important for creating a cushioned space in this area. Midsoles that are firm will irritate the foot over time, often leading to increased cases of aches and pains. The even spread of the absorption also works to keep you steady on your runs. There are no target areas for aversion, leading you to a smooth run each time you place these shoes on your feet. The upper portion of the shoe has also been redesigned for a new model of success. This upper utilizes reinforced textile materials, which is an element that is common to the Flyknit product line. The previous problems revolving around the upper was its ability to keep the foot in a controlled environment. Movement occurred in excess, causing slippage and uneven distributions of weight. To make up for this problem, Nike treated the Lunar 3 model with an increased amount of padding. This padding extends to the outer covering of the shoe, helping to emit even airflow amounts. This padding implementation was also distributed differently, starting off thin and gaining excess materials as it rose to the ankle. This helps to fully encompass the ankle and create a complete wrap around this portion. It makes for even weight distributions and proper footing standards when out on the trail. The new implementations made with the 3rd installment work to bring the weight down and keep in minimal in the scope of comparable products. The total weight comes in right under 9 oz., making it the perfect fit for those who like to keep their shoes minimal. Minimal means you are running closer to the ground or the surface. The thin tongue, thin layer of midsole technology, and textile build all work to bring the weight of this shoe to lower amounts. The textile material represents a sound case for airflow and distribution. It features small dimples that cover the entire outer shell. These dimples create small holes or air emittance and acceptance. The user will not notice this difference, which is important to note. 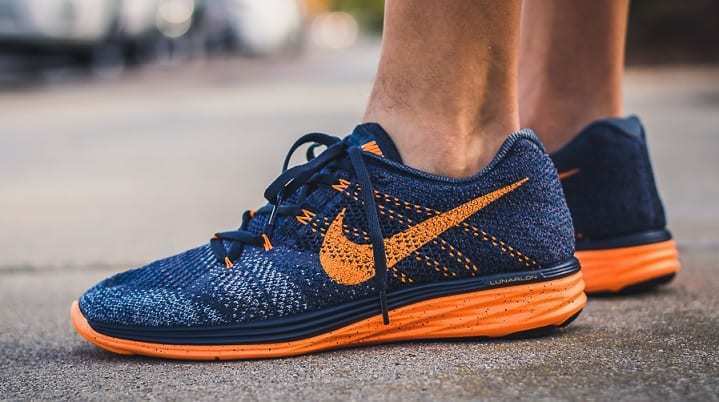 The holes do not allow for ample amount of airflow to reach your feet, meaning you won't notice your feet getting cold if running in cooler conditions. The upper construction also helps to influence an increased air flow stream. The fabric material used in this upper portion helps to get air out and reduce it from being trapped within internal portions of the shoe. This is an important measure for reducing blistering and developing conditions of foot fungus. The comfort portion is delivered by the outsole, midsole, and thin sock liner. The features of the outsole and midsole have been detailed above, leaving with a discussion on the sock liner. It is thin, which helps place the shoes on your foot with ease. It is constructed of thin fabrics, which reduce discomfort measures caused from other liners that grip tightly to the foot. It keeps your foot flat to the shoe bottom and there is enough room for your toes to wiggle in the toe box. This spacious nature reduces measures of discomfort and improves upon the pressures placed on your feet when in motion. The size and fit of the shoes are somewhat selective. Nike has been known for producing different fits for their products, which makes familiarity with the brand a good starting point. Compare your fit with the additional lightweight running shoes in Nike's product line. A good measuring tool is to sample from previous releases to find your fit. The textile materials create for a strong bonding element. It easily connects and holds to the midsole, creating an airtight seal that is difficult to break. The rubberized material meets up to the thin midsole in proper fashion. These two instances bode well for durability means. Most shoes will feature multiple stacks of outsole and midsole materials, making it difficult to bond and hold these elements together. Through minimalizing the size of the midsole and utilizing a strong material like textile, Nike has created a shoe that will stand up against the test of time. There are no areas that allow for seepage from outer forces, making it a strong test to the elements. The uses of the shoe are expanded to a wide range of instances. The primary usage space is when running on simple or hard surfaces. The outsole caters directly to areas of pressure points, allowing you to find your stride on any surface. They are built in a durable fashion, meaning the off-road paths are fair game for the user. While we don't recommend running on rocky surfaces, it can be done. Just understand that these shoes are minimal and while they can increase the shock absorption measures, they can't attest for running on rocky or rough surfaces for extended periods of time. The stability measures are clearly defined and laid out to the user. The implementation of a heel cup allows for you to remain in the proper, upright position. This element can help improve posture and help you define the correct pattern of running strides. The distribution of cushioning occurs at an even keel, delivering the correct amount of pressure and support in the right areas. This instance promotes for a smooth run that keeps your foot and heel stable during flight. The midsole features more flexibility than the older models that Nike has produced. It is made from a lightweight foam material, which gives you freedom of movement in the proper areas. This is perfect for catering to the different foot types that people may have. It provides ample padding and flexibility for those who have high, regular, or low arches. This is a claim many cannot stand behind, making it a fitting option for all feet types. The toe box contains a little flex and the back is built with minimal amounts of flex. These are within the proper, standard levels of operation. The primary use for these shoes are for running purposes. They can be worn in the gym, as they provide the conditions one would want when working out. These conditions include sitting the foot low to the ground and absorbing shock. A foot that sits lower to the ground is the best way to perform deadlifts and heavy lifts. They can also be utilized as an everyday shoe option. Again, be aware of the minimal factor, as this is not optimal for all-day wear. With every shoe product, there are often limits to size availability and designs at-the-ready. This can leave the consumer in a bind. We don't recommend going down half a size to accommodate for the title. Instead, we present a few options that have some of the same inclusions that the Flyknit Lunar 3 shoes have. Keeping the same product line in mind, the Flyknit Racer running shoes make for a great comparison product to the Lunar 3 models. The Flyknit racer mimics the same makeup by attracting textile means. This textile is reinforced in a similar design in that of the Lunar 3 models. It utilizes a thicker midsole, which may cause for discomfort in the pattern of long, drawn out runs. This is a minimal concern, due to the effectiveness of this area working in different ratios for different arch types. The price point of this model is a little lower than the Lunar 3 running shoes. Our last two comparisons stick within the same Nike series. The Flyknit Free Runners are two separate models that are made for men and women. They feature similar designs and makeups, only differing on color schemes and patterns when compared against one another. 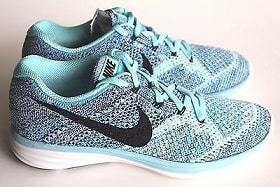 The main design, when compared to the Flyknit Lunar 3 running shoes, is relatively the same. The same levels of reinforcement and connectivity to the outsole. The major difference is the limited midsole support created by the free runners. From the outside, one cannot actively view this support system. The outsole is the only visible portion. The inner portion of the shoe houses and midsole and fuses its content to the insole. This creates a dual function that directly supports the notion of a comfortable fit and feel. The back build-up of the ankle portion is very limited in this Nike model, something that becomes much more advanced with the Lunar 3 running shoes. 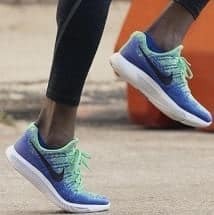 After defining the unique features, sampling from expert opinions, and searching for comparison models, we can conclude that the Nike Lunar 3 running shoes are an up-to-date running option. The attention to key areas of fixing and upgrades have again placed Nike ahead of the competition. The midsole redefines comfort while keeping a fashionable design. 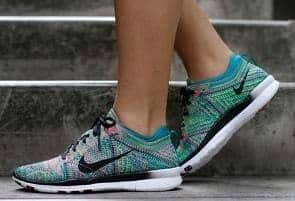 The ankle support means are reinforced to the top level, which is something that is not common for the lightweight Nike running shoes created in the past. It deserves our attention and gains our seal of approval.